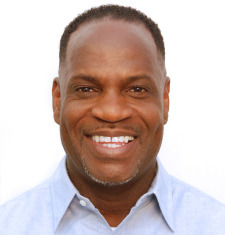 Michael Arterberry - Youth Development Expert - Youth Voices Center, Inc.
Michael Arterberry is the Executive Director of Youth Voices Center, Inc. and the creator of the Power of Peace Program. Michael began his tenure working with youth by obtaining a Bachelor’s Degree in Social Work from Iona College. In founding YVC in 2008, Michael drew heavily on his understanding and empathy for the pressures and difficulties of the teenage years. In addition to his own experiences growing up in poverty, Michael has worked with thousands of teens in a range of settings over the past 24 years as a social worker and counselor. As a teenager, Michael was fortunate to receive guidance from positive adult role models who helped him to overcome adversities and set high expectations for his future. Grateful for the role these mentors played in his own development, Michael decided to dedicate his professional life to helping teenagers navigate the difficult adolescent years. Michael decided to form YVC while working on the Alternative to Violence Project (AVP) in Green Haven Correctional Facility. Serving as a counselor in AVP, Michael was impressed by the progress of inmates who entered the program with plenty of hesitation and resistance and left the program raving about how much it transformed their perception of themselves and others. Realizing the power of this type of experiential program, Michael founded YVC and launched the Power of Peace program to transform the lives of youth. In 2010, Michael was selected out of hundreds of nominees to receive a USA Network Characters Unite Award, given to individuals who demonstrate exceptional commitment to combating prejudice and discrimination while increasing tolerance and acceptance within their community. In 2014, he was the recipient of the 100 Men of Color Award for leadership in education, government, mentorship, entrepreneurial success and community service. And most recently, he was awarded the EDUCATOR OF THE YEAR AWARD from Y-COP, the Youth Community Outreach Program in Mt. Vernon at the First Annual Dinner Dance on September 29th, 2016. To learn more about Michael and how he encourages others, please visit his Blog and Subscribe for updates. Michael is also the subject of his wife’s first religion based, spirituality book, “God Was Holding My Hand,” in which Rachel Arterberry chronicles his journey of coming to know the Lord. Spanning from his tumultuous childhood, to a college football injury that turned into spinal cord surgery, Michael becomes self aware that God was holding his hand each step of the way. For more information on the book, please click here. Youth Voices Center, Inc. is a non-profit organization which has the sole purpose of improving the lives of young people. The workshops are expressly designed to help young people understand life, responsibilities and challenges and to provide them with the necessary tools to succeed and make a positive impact. The Power of Peace Program has proven successful in many school districts due to the experience and passion for working with youth of its founder, Michael Arterberry.